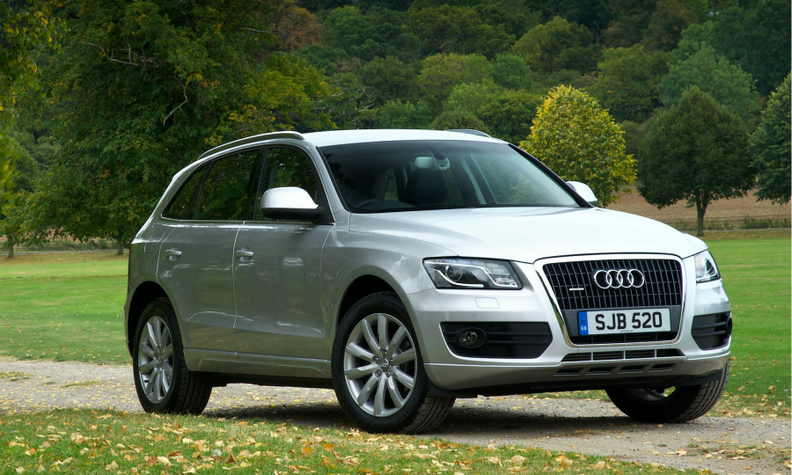 The Audi Q5's NOx emissions were 25% higher after the diesel fix was made, the European Consumer Organization (BEUC) said. BRUSSELS -- Volkswagen Group's technical fix for the Audi Q5, one of the vehicles involved in its diesel-emissions cheating scandal did not reduce emissions in a new test, a European consumer group said. VW has argued that the fix for the 8.5 million vehicles affected by its cheating in Europe would make them compliant with EU regulations, avoiding the need to compensate owners. The test of the diesel Audi Q5, equipped with a 2.0-liter EA189 Euro 5 engine, by the Italian consumer group Altroconsumo showed harmful nitrogen oxide (NOx) emissions were 25 percent higher after the removal of illegal software than before the technical fix was made, the European Consumer Organisation (BEUC) said in a statement. VW was not immediately available to comment. "VW's solution to deactivate the defeat device is not reliable," BEUC's head Monique Goyens said in the statement. Germany's motor vehicle authority, the KBA, has so far approved technical solutions on more than 3.7 million group vehicles, VW said last month, including models from the VW, Audi, Skoda and Seat brands. VW's recall covers diesel cars with 2.0-, 1.6- and 1.2-liter Euro 5 diesel engines that have manipulated software. The 2.0- and 1.2-liter engines will get a software upgrade that requires about 30 minutes of labor time. The 1.6-liter engine will require the installation of a piece of mesh to regulate air flow in addition to a software upgrade, a process that VW said will take less than an hour. Pressure has built on VW to offer financial compensation to customers in Europe after the carmaker agreed to pay out up to $15.3 billion in the U.S. to settle civil claims. "VW must compensate European consumers," Goyens said. "National public authorities must finally take action and put pressure on VW to correct their misbehavior." While the EU's industry commissioner has urged VW not to treat U.S. and European customers differently, despite differing legal systems, responsibility for policing, penalties and enforcement in the EU lies mainly with national authorities. Legal wiggle room over whether software used to switch off emissions controls contravene EU law has muddied the waters, with automakers saying they are allowed to protect engines against potential damage. A spokeswoman for the EU executive said it had asked for additional information on why reports by German and UK regulators in April found evidence of so-called defeat devices but deemed them legal. Last week, EU Industry Commissioner Elzbieta Bienkowska took carmakers to task, saying they stretched the legal bounds, for instance with emissions control systems that switch off at below 17 degrees Celsius. "That means in Northern Finland you drive without emission control almost all year-long," she said at an industry gathering. "What you do is you make the exception the general rule."